Retrieve lost password from different applications. 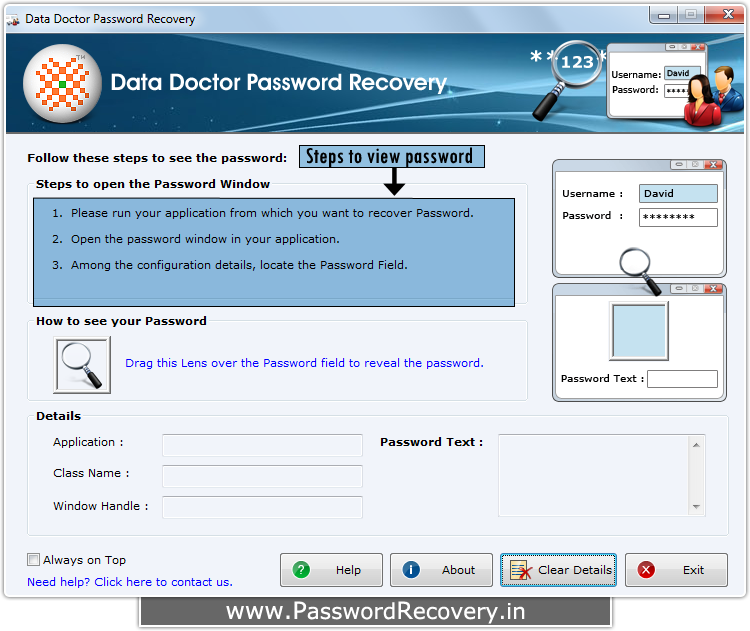 Password Recovery by "Password Recovery Software"
Install and run “Password Recovery Software" on your computer system. 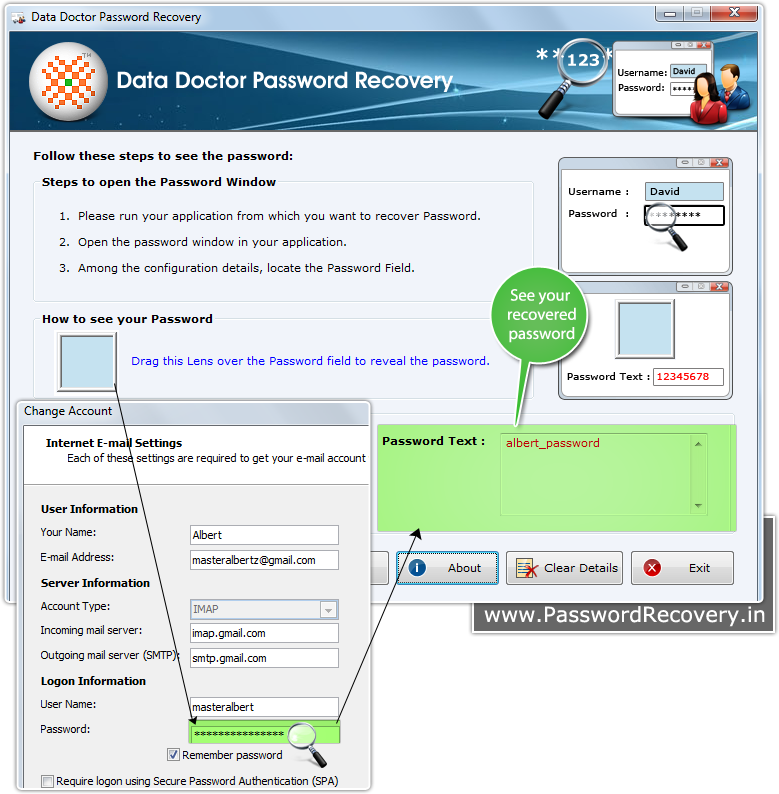 Open the password Window in your Application from where you want to recover password. Drag lens over the password box to view password (for e.g. 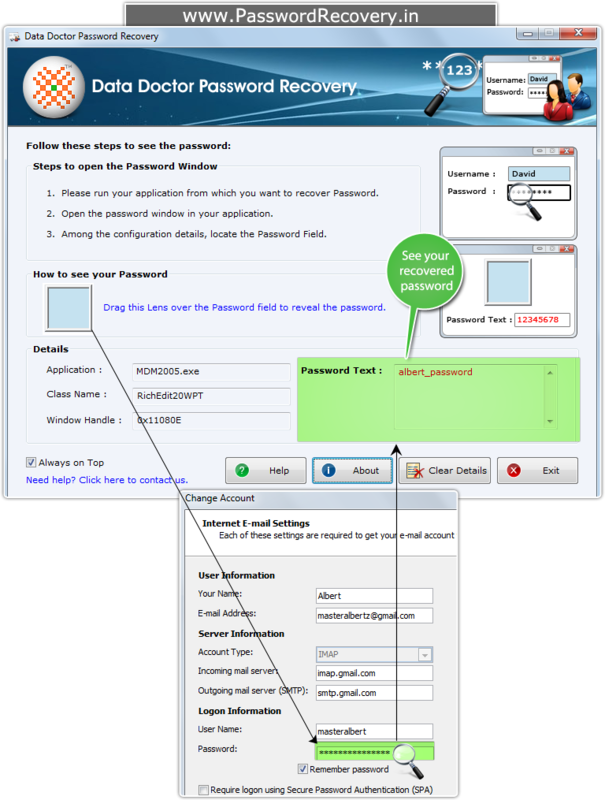 albert_password), as shown in above figure. 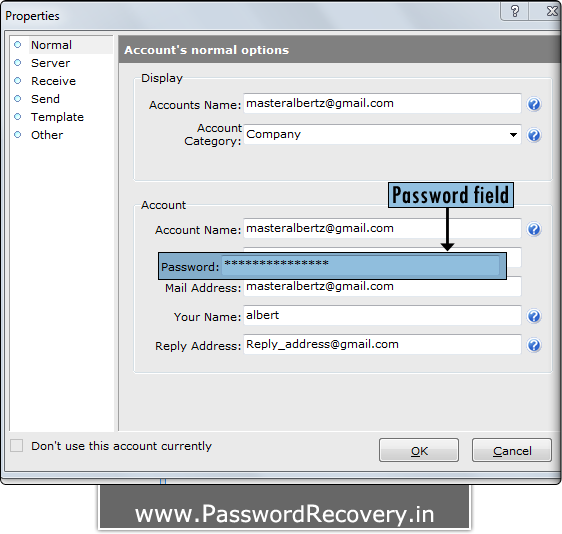 Recovered password will be displayed at right side in 'Password Text' Field.